This week I had big plans, one of them being, painting my angel. But, on Tuesday I went to the store and started feeling off and by the time I got home, I realized I had the flu, ugh. So, I took my med and even though I had the flu, it has lessoned the symptoms, but my energy l level was at an all time low. Today I finally felt good enough to get some things done. One thing I did do, was to prep some stocking blocks and I made up six more, something to keep my hands busy while I rested. Today I added the sashing to see how they looked. Unfortunately I cannot get a good photo, some colors washed out and the red sashing looks too bright. It is not an exact match, but more prim than it looks in the photo. I want to use what I have, and I like the idea of a pop of red. This is what I have so far, I wanted to see how they look together. Now I need to add some new colors, definitely some golds. Once I have a few more extra colors, I can start sewing them together and build it up. I want it to be big enough to use. 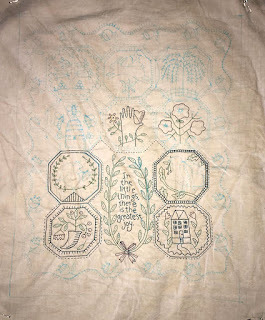 Once it is sewed together, I can hang it somewhere with better light. The blocks are 10' x 7 1/2', and the sashing is 2". I use a 1/4" seam when sewing, so a bit smaller when sewn. 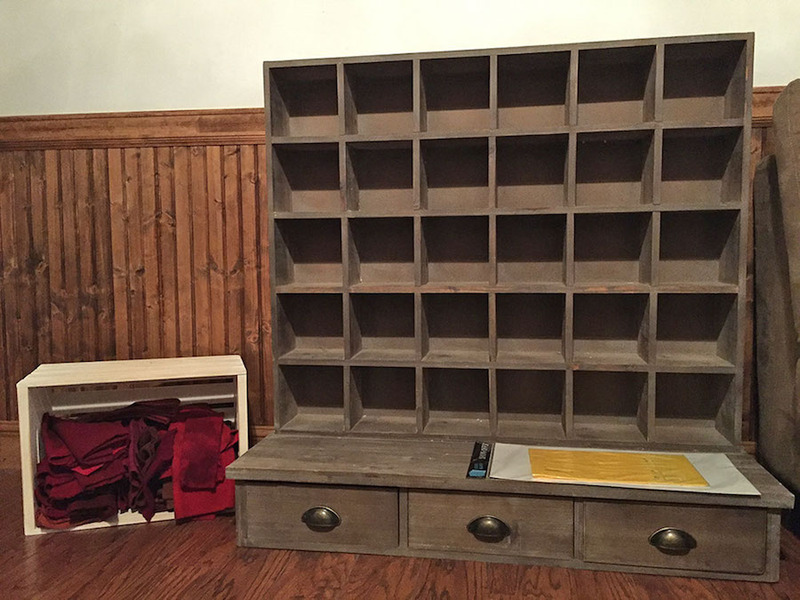 One thing I got while shopping, a new cabinet for my beach room. I realized my wall shelf didn't have enough space to hold my paints, so now I have plenty of room for paints and other items. Bill is building me a long cubby stand to put it on, then I will put my white washed crates in that. I couldn't attach it to the wall and reach the shelves, so this way it will be off the floor but not too high. I had found some more old slides and this one bought back wonderful memories. 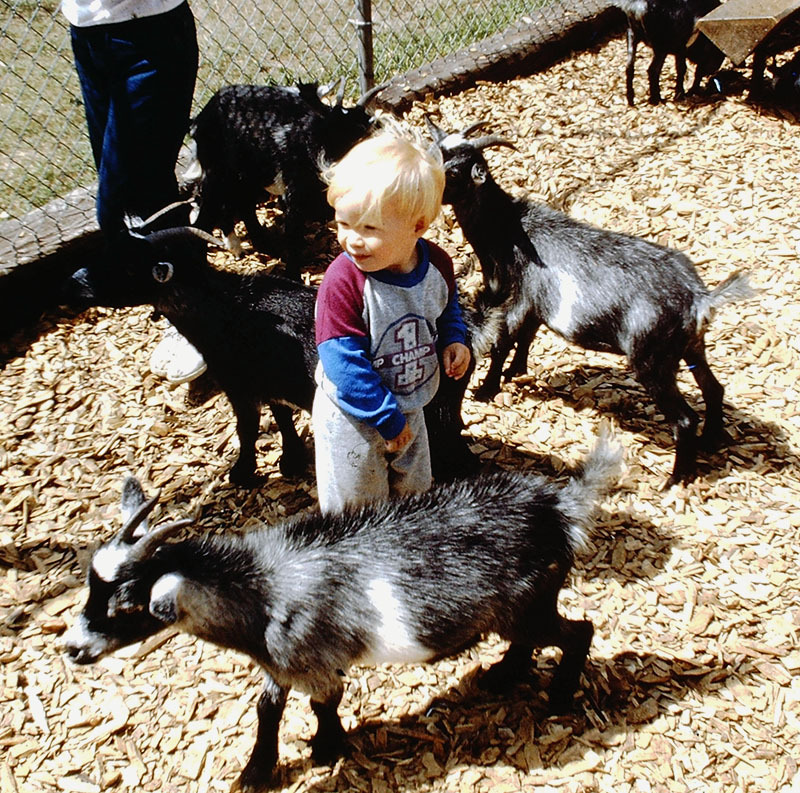 Next month, Billy will be 36, doesn't seem that long since he was the little boy I remember. Tomorrow is going to be nice, so hoping to get out with Nick. Not a lot got done this weekend. 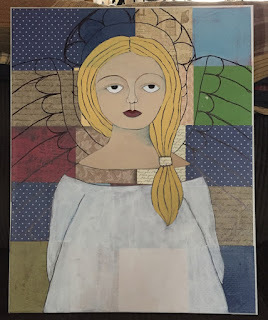 A bit of shopping, I found a Jan patek book at a thrift store and got some new, larger paint brushes to work on my angel. I also worked on a stitchery by Kathy Schmitz, it is one of the ones, I had picked out with my winnings. 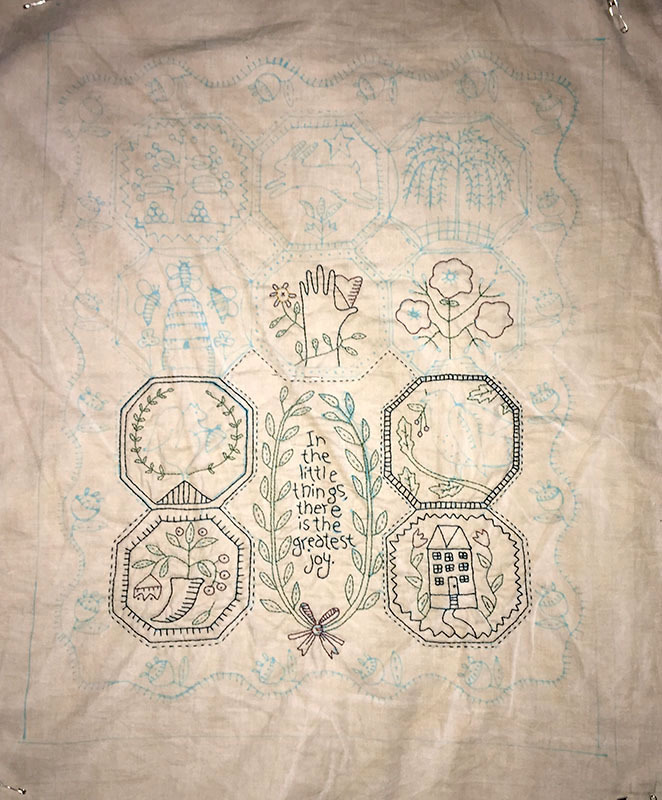 It is a large one, so it is a nice project to work on a bit at a time and keep my hands busy. I am keeping the colors simple, so I am working in sections and deciding on some, after I do the rest, so I can keep it balanced. 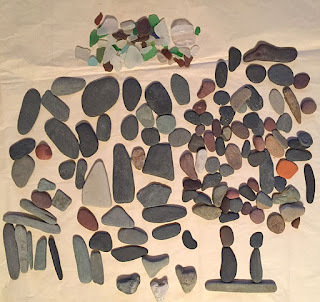 We also went to the beach one day, caught it at low tide, so I was able to gather up some more rocks for my collection. I think I have enough now, time to try some pieces. On Sunday we did another drive and watched a fishing boat come in, then hit the rocky beach for more rocks, but I realized most were rough and not the type I wanted. 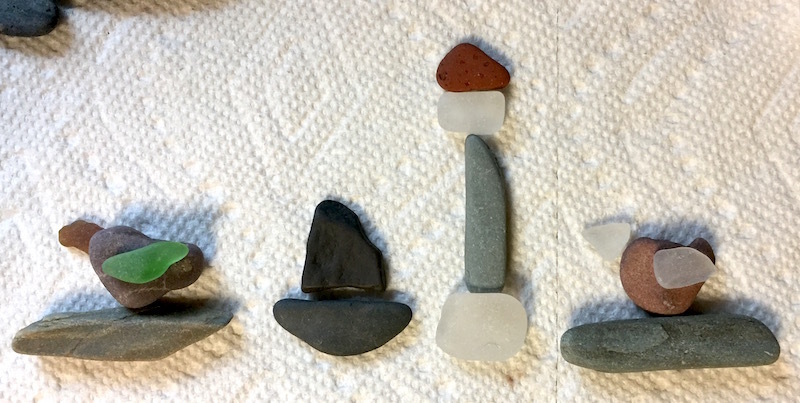 The ones on the steep sandy beaches are like being in a rock tumbler, they are smoothed by the sands, so perfect for little art pieces. 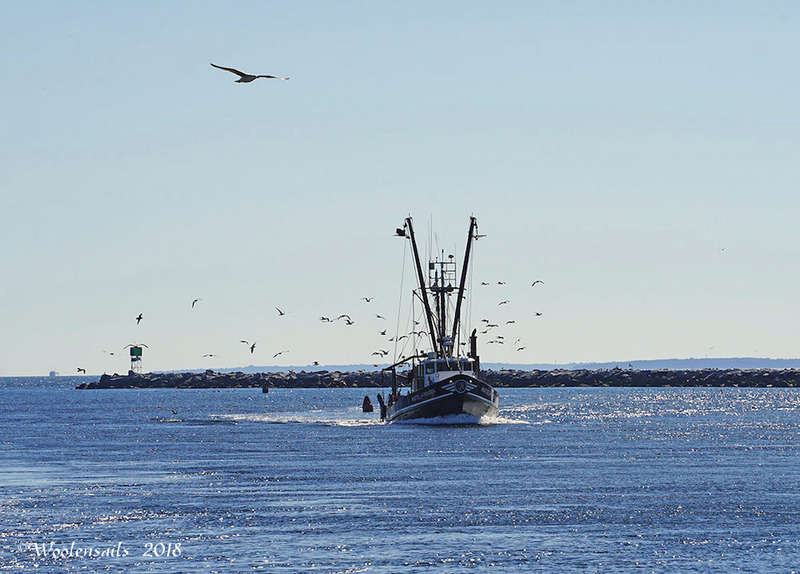 The seagulls were following the boat in, they know they will be treated when the fishermen throw their excess fish, over the sides. Today was cleaning day, I would have rather been painting and creating, but it has to be done. This weekend was rainy again, so we took a day off and I worked a bit on my painting and finally finished a rug. I made it a few years ago and forgot all about it, so I got the binding on, this weekend. It is a design by Maria of Star Rug Company. A friend sent it to me and it was a fun one to do. 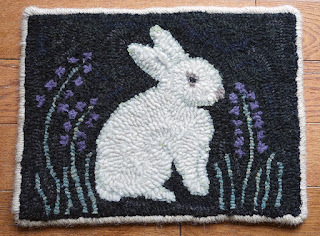 I used wool yarn roving for the bunny and old thrifts for the background. I bound the edge with an off white rug yarn. It has been a while since I did a rug, my edge is a bit wobbly looking. It is 14.5" x 11". Sunday was another threat of rain and it did rain a bit in the morning, and the weatherman said we would be a break mid day. So, we headed to the beach and of course it started to rain, but once we got to the beach, it stopped. 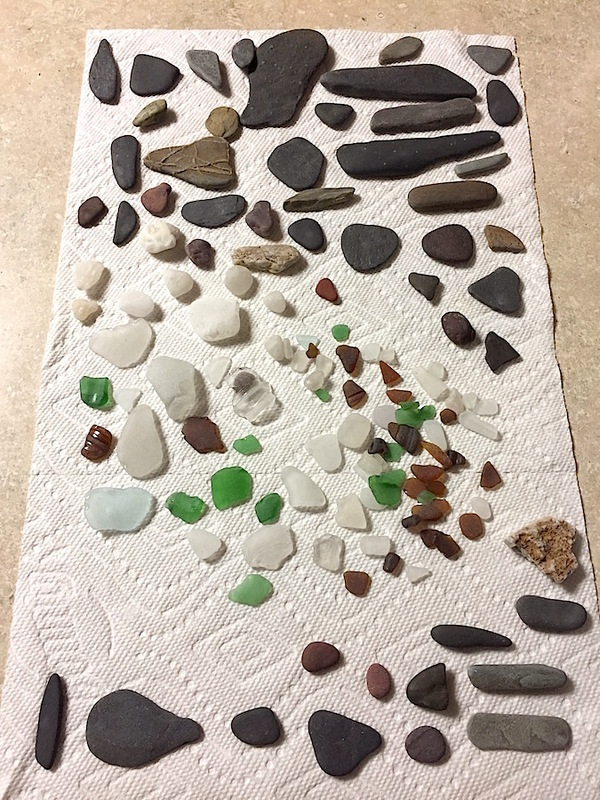 It was even a little warmer and it was full low tide, so we spent a few hours, combing the beach. 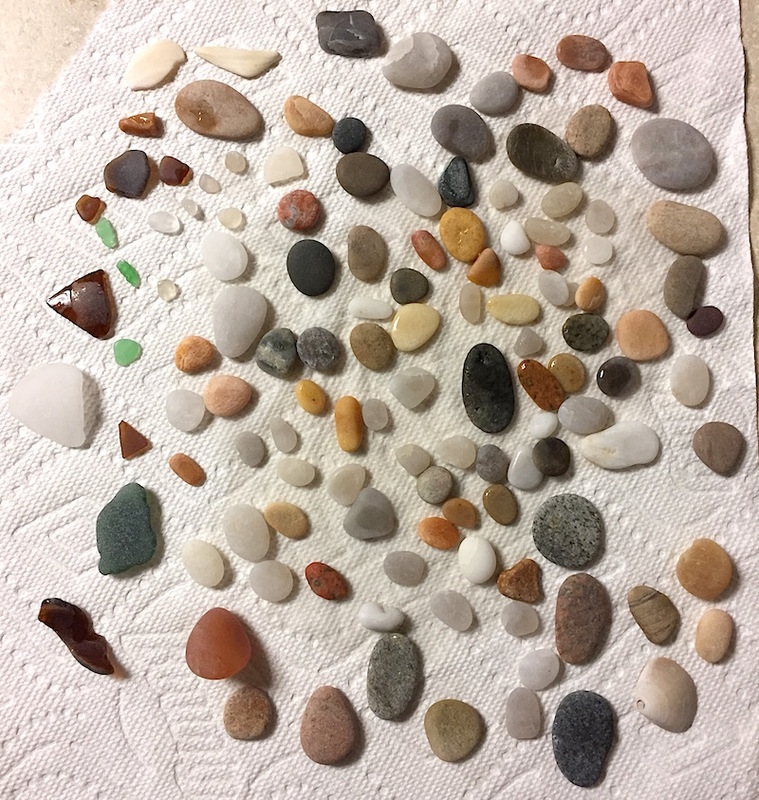 We didn't get as many larger pieces of glass, as last time, but I grabbed lots of little stones to play with. 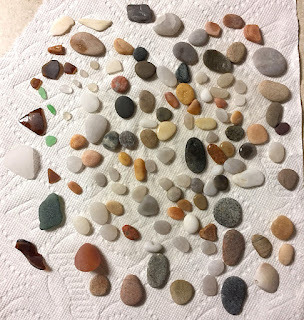 Now I have enough to make a few art pieces. I hope you all had a wonderful weekend. 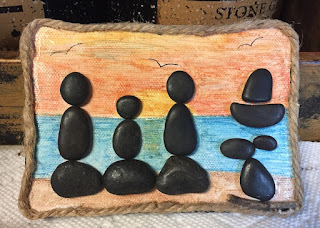 This week I have a new free pattern from Cheri on her Facebook Group and I will try and finish my painting. This week was a bit of this and that, lots of thinking, doing, but no finishing. I made some more small stocking blocks and having fun, picking scraps from my stash. I have a lot of red and green, so time to add some new colors with the next batch. I laid them out with a red I had been thinking of using, but it might be a bit on the orange side. I found another that is a deep red. 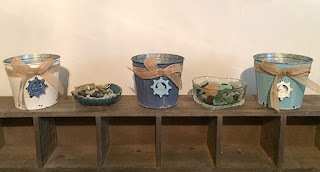 I like the idea of a pop of color by using a skinny sashing between the blocks, but not sure if it blends well with the colors, might have to find some green? Hard to tell in the photo, but the red on the right side, is a deeper red, but still brighter than the red in the stockings. I will have to see what shades of red and green I can find in the medium weight linens. I also wanted to paint my angel. I won a class with Teresa Kogut and made a smaller version. I was having trouble watching the video since it kept stalling out, but now it is working fine. Well, I messed up with the lines, using a sharpie was not the best idea, but I can paint over the mess. Of course my brain decided to go on hold, I could not follow along, I was painting too slow this time so I paused and painted ahead, then realized I forgot things, so I made a mess of her face. To fix that, I just redid the flesh and covered all the blobby, dark shadowing. Now it will be hard to do it in her style, since you go from dark to light. At this point, I will just paint her my way and try again with the next painting. When my lyme is acting up, my eyes go blurry, so I tried painting in some base colors and gave up. Hopefully my brain will be back to normal next week and I can finish her. I am allowed to give them as gifts, so this will be gifted, if I don't make a total mess of it, lol. I hope you all have a wonderful weekend. 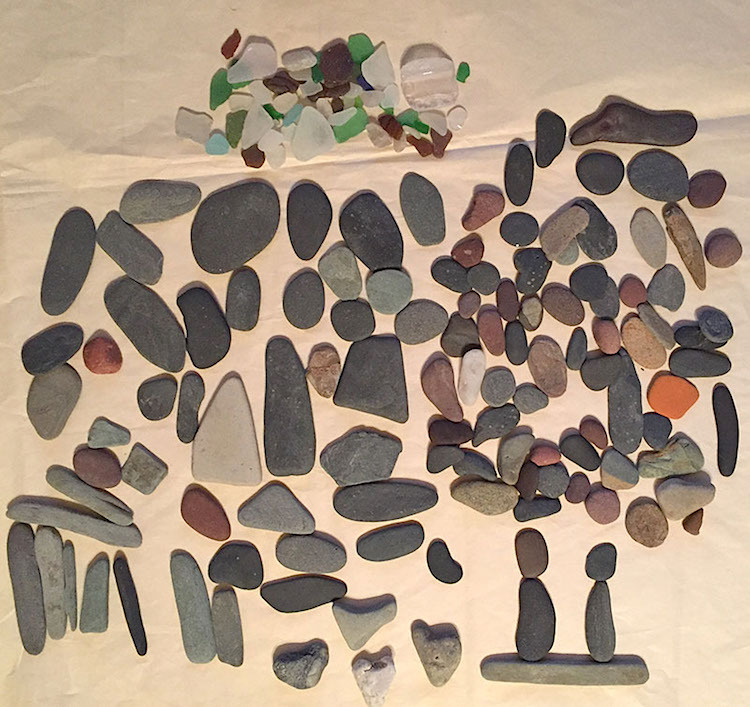 We have more rain coming, so hoping we get a break so I can get out for a little beach combing. After she is finished, the piece gets done with crackle and stain, so that changes the whole look and covers up a lot of flaws;) It is also sanded, so that some of the paper designs will show through. You can check out Teresa's classes at Gather Dream Create. She also has a weekly lesson with different types of designs. 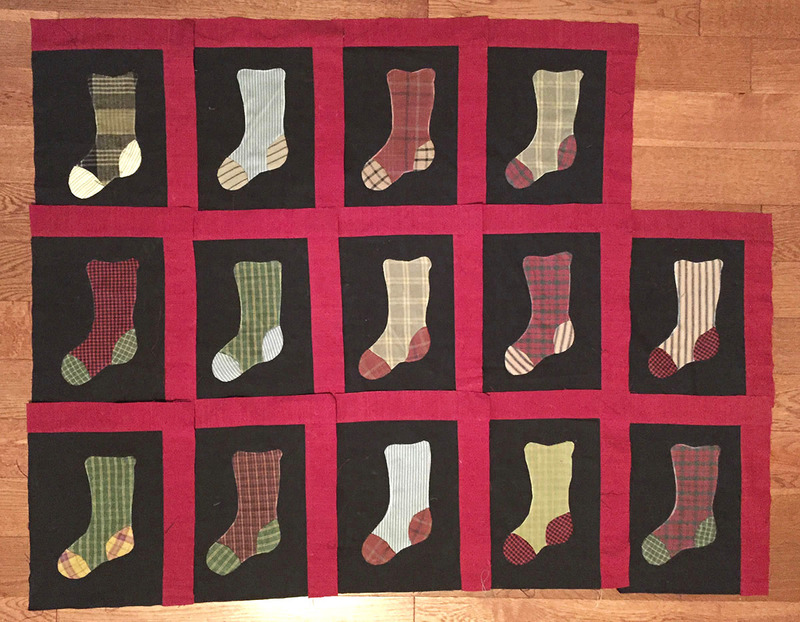 I wanted to try the stockings in a smaller size and make a quilt for me, with all stocking blocks. 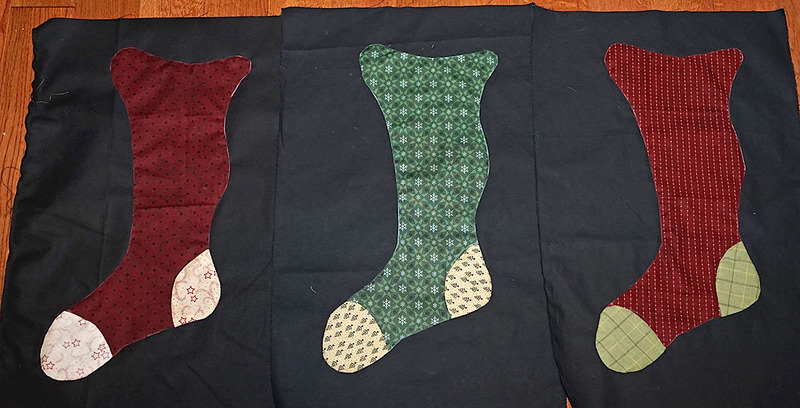 I reduced the design to 9" x 7" and modified the stocking slightly to make it simpler and a bit wider. I am using scraps and homespuns from my stash and all black for the block backs, which is also a homespun style, something like linen. I am thinking of using a red that is in the same line, as sashing for the blocks, I think that will set it off nicely, then I can do a black binding. 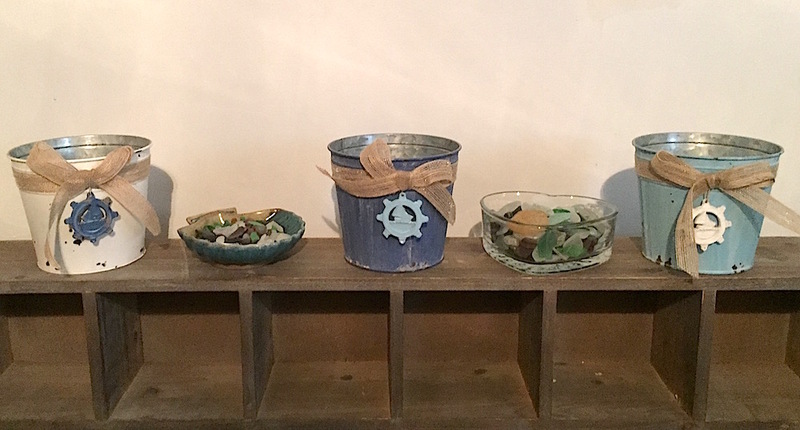 I just wanted something simple to make for fun that I can use next year and a great way to use up some of my stash. This weekend wasn't very nice, too cold on Saturday to stay outside for more than a few minutes. 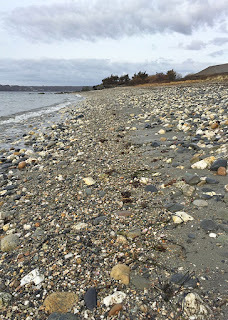 On Sunday we had rain in the forecast, but not till later in the day, so we headed to the beach. 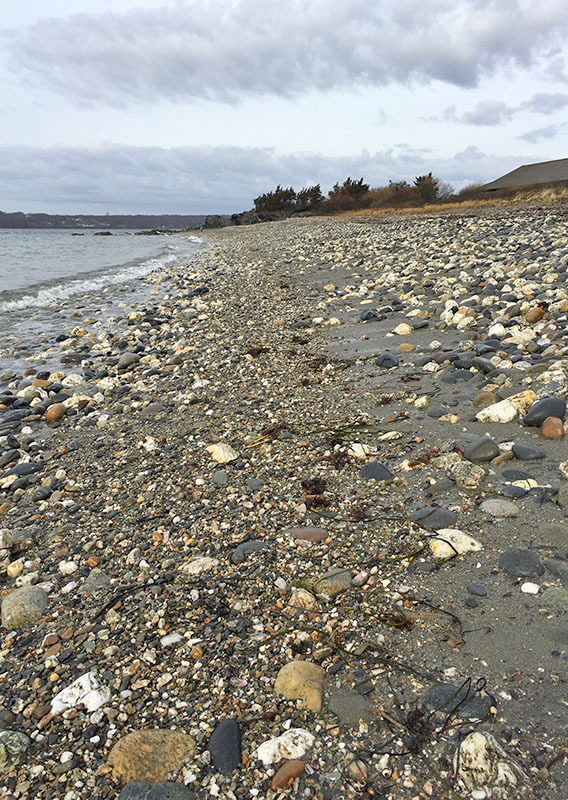 It was so nice to walk on the beach and no one else around. Then it started to sprinkle, then rain which was more like ice, so we had to give up. I was disappointed since we hit the tide as it was going out, a perfect time to walk up and down the beach, and look for treasures. 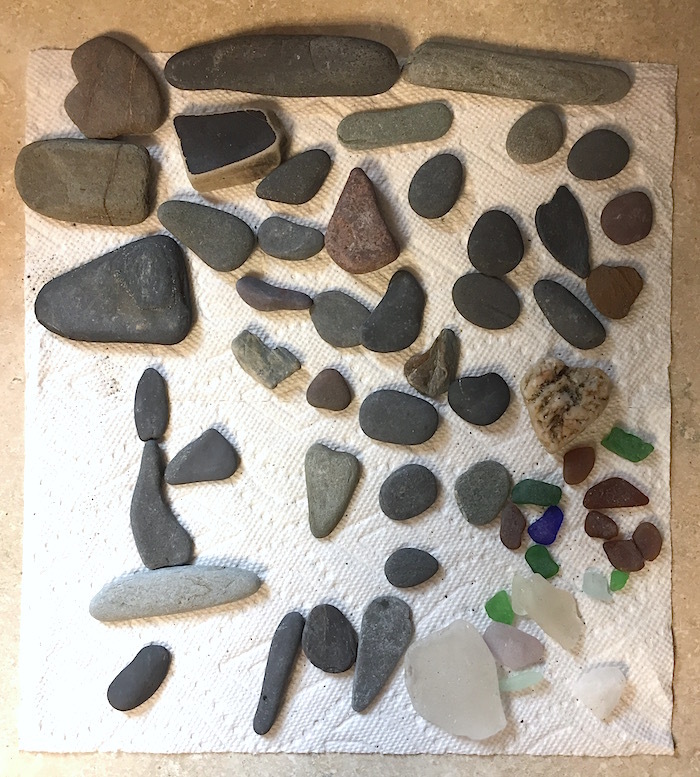 We did find some glass and I grabbed lots of small rocks to play with, so hopefully I can make something this week, for my room. 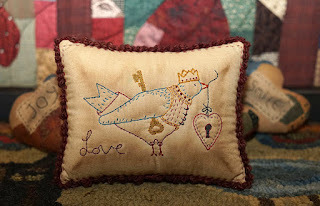 I always love a new month, it means a new stitchery from Kathy Schmitz's, One Stitch at a Time Club. This was a fun one to do for Valentines, I may even make a few more to give away, maybe try one in red work. Kathy framed her piece, I made a pillow. It is much easier to find spaces for pillows. 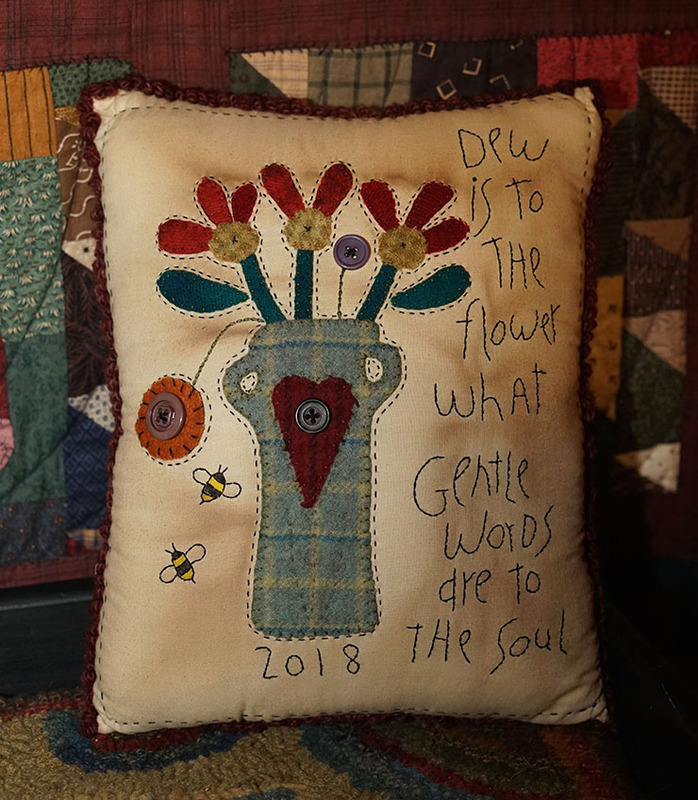 I also added a few of my own touches and the word love. I also finished the last three stockings. I love how they look, just wish they looked as nice in a photo. I say finished, but I have to fix something, I wasn't paying attention on one piece, can you guess what it is? Next is the row that goes in the middle, it will have stars going across. I hate points, so I may use a fusible to make it easier for turning the points, ahead of time. 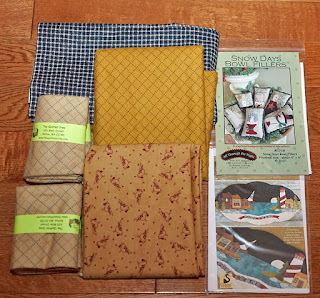 I will also use the patterned black for that and the outer borders. 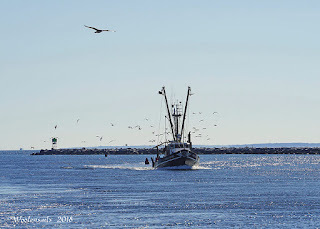 I hope you all have a wonderful weekend, we have rain and snow and cold and not fun weather for being outside.